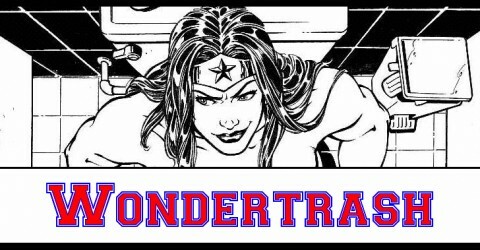 There’s been a lot of talk about Wonder Woman ever since Gal Gadot scored her three picture hat trick deal to play the world’s most important super heroine.It’s about damned time too since there have been a number of near misses. Like that time Aussie model Megan Gale got cast to play the part in a Justice League flick that never got made. As soon as the ink was dry on the contract Gale got the rug pulled out from under her. Something about a tax beef between Justice League producers and New Zealand, or Australia – where ever they were planning on filming the now long defunct project. That’s a shame cause Gale would’ve looked stunning in the Wonder gear. Then there was that TV pilot by David Kelley. He’s best known for producing Allie MacBeal, and marrying Michelle Catwoman Pfeiffer! So he’s not without influence, or experience with super heroines – though Catwoman is really more of a rogue. Adrianne Palicki was even cast to play the lead role. Adrianne is an attractive and extremely healthy young woman who looks so convincing in some of those actions scenes that she was only a saddle away from heat in the Kentucky Derby! Even though the pilot got completed for some unknown reason the series never got to air. The pilot has seen the light of day though, buy getting distributed around the web. 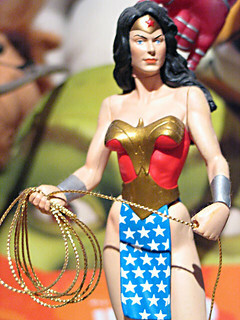 You just can’t keep Wonder Woman under wraps it seems! For those of you who are still curious about how that went, here’s that unaired pilot for you! Enjoy! Are You Ready For Batman to Come to Fox? Could the unaired Locke and Key pilot kill the new movie?